Planted tees are 2" caliper and 6 feet tall. This oak will provide great shade in a few years. 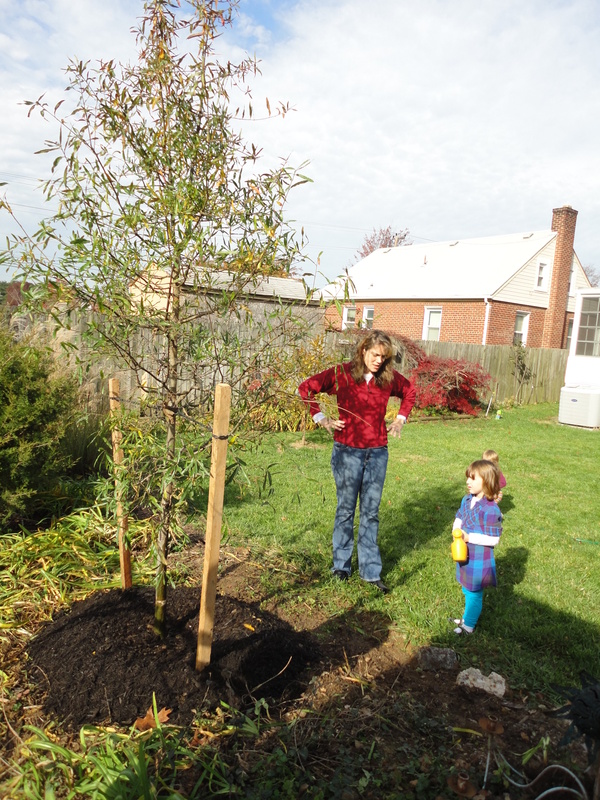 If you are a resident of Arlington, you have a great opportunity to get native canopy trees planted in your neighborhood. This program is only for planting on private property (grounds of private houses, apartment buildings, condominiums, churches, etc.) and not on public property such as street trees, public schools, military or government grounds. This is a group project; you need to notify ACE of your interest in coordinating a group application by April 13. See link below to send a Letter of Intent. Your role as a group coordinator is to solicit neighbors interested in tree planting through promotions in local newsletters, listserves, or knocking on doors when you see a spot that needs a tree. Advisors from TreeStewards and other knowledgeable people will assist you in deciding which tree species would be best for a given location. Groups have until June 8, 2012 to prepare their application. 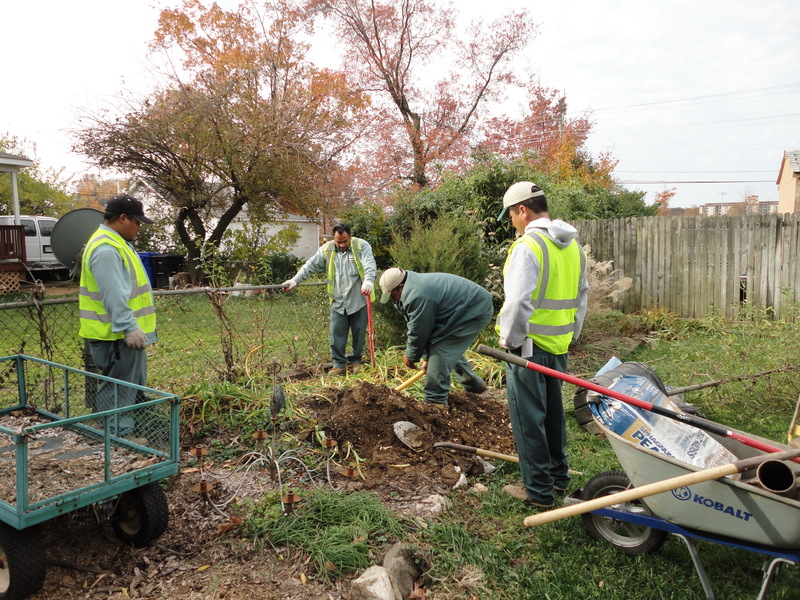 Tree saplings are professionally planted by a knowledgeable local tree service. All you provide is the water! This entry was posted in Advocacy, Community Service, Uncategorized and tagged Arlington, planting, Tree Canopy Fund. Bookmark the permalink.